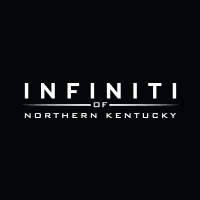 The new INFINITI QX50 crossover vehicle is here and available at INFINITI of Northern Kentucky. With a powerful 2.0L VC-turbo engine and 3,000 lb. tow capacity available for certain trim levels, this distinctive crossover blends luxury with convenience and delivers it to Cincinnati, OH drivers. Test the difference of this INFINITI vehicle at our nearby Covington car dealerships today. Browse our exclusive QX50 inventory online, then check out our new vehicle incentives for an extra added value. With these amenities and more, the INFINITI QX50 assists Ft. Mitchell drivers with their daily drives and then some. Backed with a comprehensive elite warranty, the QX50 crossover is ready for what the journey brings. Once you’ve found the QX50 you’ll want to explore, contact our nearby INFINITI Louisville dealership to schedule a test drive. You can also come down to Fort Wright to take a seat in a new QX50 and start your vehicle buying journey that same day. Apply for financing before you come to get one step closer to your new QX50.